Discover interesting facts and information about the tools and materials, including Flint , used by Native American Indian tribes. Description and Definition of Flint. What is flint? Flint is a hard kind of stone, a large somewhat impure variety of quartz, usually found in gray, brown, reddish or nearly black colors and often has a glassy or waxy appearance. Flint was used for the manufacture of Stone Age flint tools as it splits into thin, sharp splinters called flakes when struck by another hard object such as a hammerstone. Flint implements and tools were used by Native American Indians before the use of metals to make tools and weapons such as axes, arrows, spears, knives, tomahawks, etc. 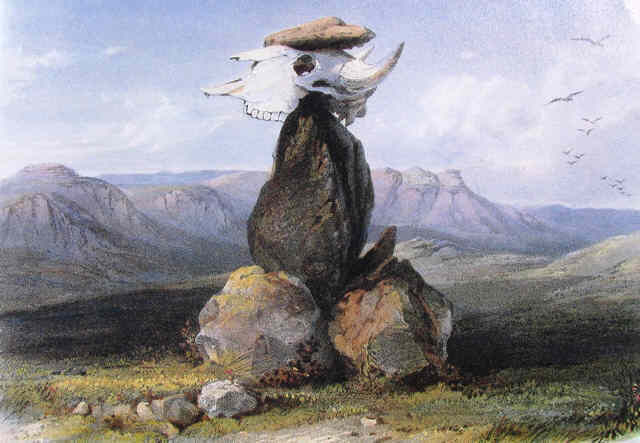 All of these objects were commonly made of flint, but other hard stones such as chert, jasper, chalcedony, granite, basalt and sandstone was also used. The words Flintstone, Firestone, Hornstone, and Silex are other names for flint and chert. Sometimes "chert" is used as the more general term, with flint being the darker variant. The original rock or piece of flint is referred to as the core. Flint is easy to find as it is often covered by a thin white layer and, in contrast to the other small rocks and pebbles, it has an irregular shape. The surface of flint is also smooth and not grainy as most rocks. Flint is found along rocky riverbeds, on beaches and in chalk, a soft limestone. Flint is also found as fillings in cracks in other types of rock. 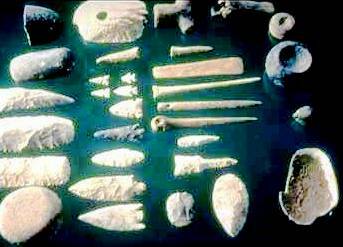 Stone Tools were made from either ground stone or chipped stone. A person who creates tools out of flint is known as a flint knapper. A flint knapper makes stone tools using flint including arrowheads, projectile points for spears, hand axes etc. The process is called Flint Knapping. Flint knapping involves a reduction process of the original stone of flint. Flakes of stone are broken off the of the original piece of flint. 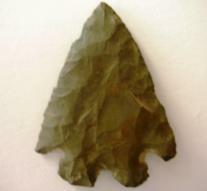 To make a projectile point, like an arrowhead or spear point, the piece of flint is directly struck with a hammerstone to remove large sharp flakes and break it into usable pieces of stone. 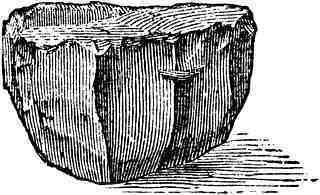 A hammerstone is the archaeological name used for an object used as a prehistoric hammer. By banging the piece of flint large, thin, sharp flakes of stone are produced - basically the original piece of flint is reduced in size making a thinner piece of flint in the required thickness. The next step is called pressure flaking. Pressure flaking is achieved by placing a pointed tool, such as an antler horn or piece of bone on the edge of the stone, and applying an inward pressure to the tool to remove a small, thin flake from the stone. The objective of pressure flaking is to shape and refine the projectile point. Burin - A tool flaked into a chisel point for inscribing or grooving bone, stone, wood, leather, or antler. The Stone Age life style of Native Americans ranged from nomadic, semi-nomadic to static across the vast continent of North America and despite this many of them shared similar culture and tools such as the Flint tool. The basic component of the majority of their their tools including were stone. Discover the interesting facts and information which relate to the History of Native Americans and the tools and weapons they used. The pictures on this site show the tools and tools that were used by various Native Indian tribes that can be used as a really useful educational history resource for kids and children of all ages. We have included pictures and videos to accompany the main topic of this section - Flint tool. The videos enable fast access to the images, paintings and pictures together with information and many historical facts. All of the articles and pages can be accessed via the Native Indian Tribes Index - a great educational resource for kids providing an unusual insight into their culture. We hope you enjoy watching the videos - just click and play - a great resource for gaining facts and information about the life of Native American Indians.